MOORESVILLE, N.C. (March 21, 2011) – Dave Blaney drove the No. 36 Accell Construction Chevrolet to a hard-fought 25th-place finish in the Jeff Byrd 500 presented by Food City after starting from the back due to an engine change after qualifying. The finish propelled Tommy Baldwin Racing (TBR) to the 36th spot in the NASCAR Sprint Cup Series (NSCS) Owner Points, one point shy of the top-35. In the lone practice on Friday, Blaney ran 13 laps and posted the 36th-fastest time of 15.361 seconds. 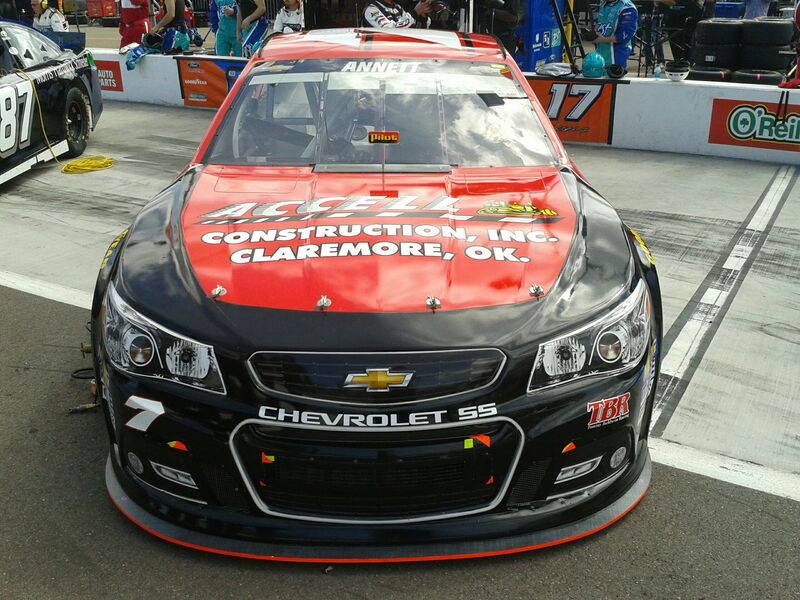 The Buckeye Bullet locked the Accell Construction Chevrolet into the show with the 37th-fastest qualifying lap of 15.462 seconds, despite an oil leak during his lap. Once he pulled off the track, the TBR team quickly assessed the leak and determined the motor needed to be changed. The team worked quickly to make the change and was ready for the two practices Saturday morning. Blaney posted the 36th and 25th fastest practice laps in the two sessions while the team worked diligently to make the car turn better in the corner. 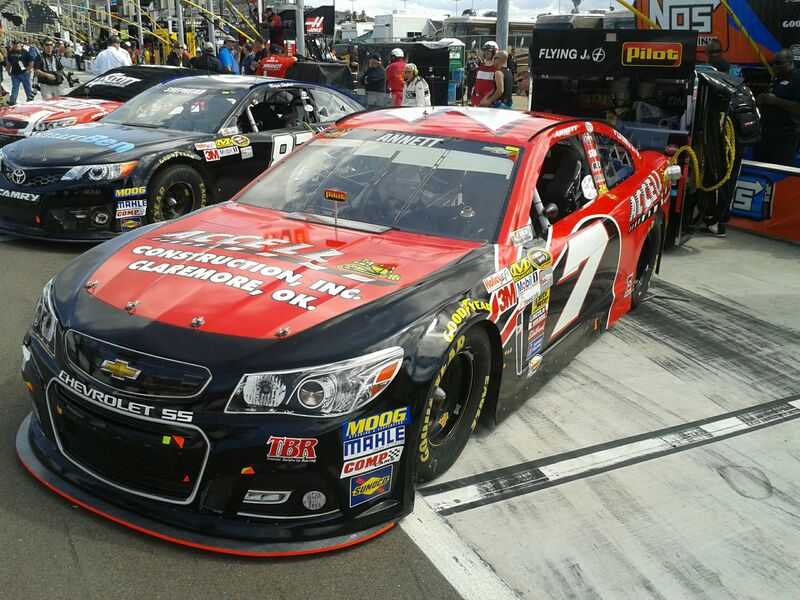 Before the green flag for the Jeff Byrd 500 presented by Food City, the Hartford, Ohio native supported the top-seed Ohio State Buckeyes as they compete in March Madness by choosing the Ohio State fight song as his introduction song in pre-race festivities. Due to the engine change following qualifying, Blaney took the green flag from the tail of the field. He quickly drove the No. 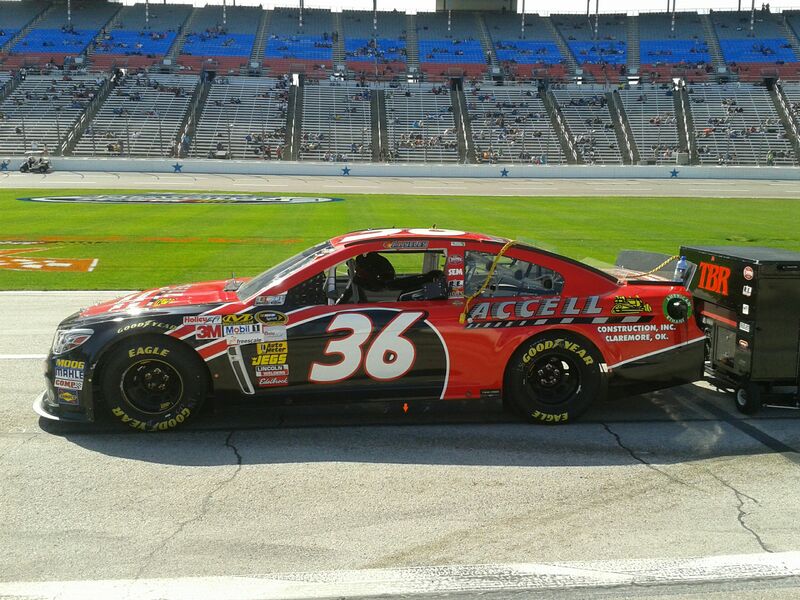 36 Accell Construction Chevrolet to the 38th position before the first caution of the day on lap 29. Crew chief Tommy Baldwin called for Blaney to stay out during the caution, since the field would see a competition caution on lap 50. 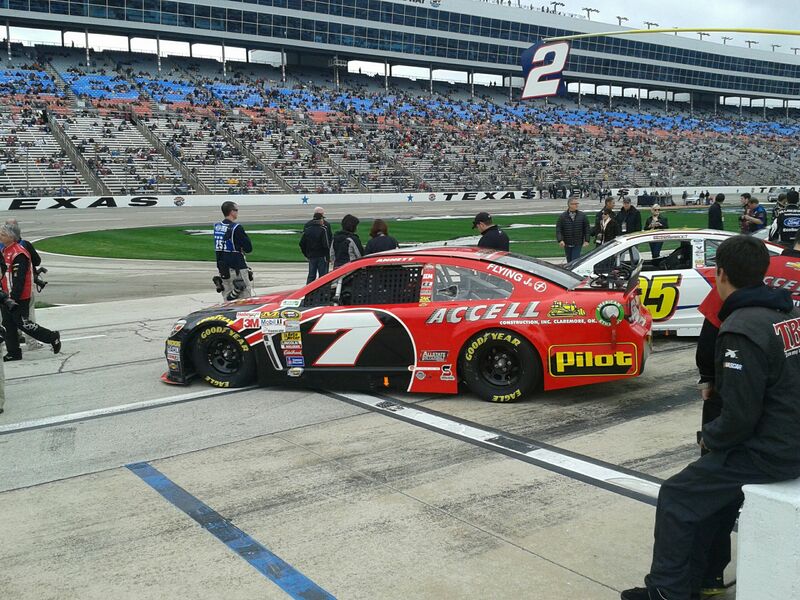 The Accell Construction Chevrolet restarted 23rd on lap 35, and Blaney raced hard until the competition caution. He radioed to the crew that the car was tight in and loose off. On lap 53, he drove the No. 36 down pit road for four tires, fuel, a trackbar adjustment and an air pressure adjustment. The Accell Construction took the green flag on lap 56 from the 30th position, and Blaney drove into the 29th spot before the leader passed him on lap 109. He worked hard to stay the first car one lap down and drove up to the 26th spot before a caution on lap 130. Unfortunately, the leader continued to put cars a lap down, which made Blaney the fourth car one lap down and ineligible for the lucky dog when the yellow flag flew. Blaney called for more turn in the dead center of the corner, so the team added fuel, changed four tires and made an air pressure adjustment. Blaney restarted 25th on lap 136 and was the second car one lap down. 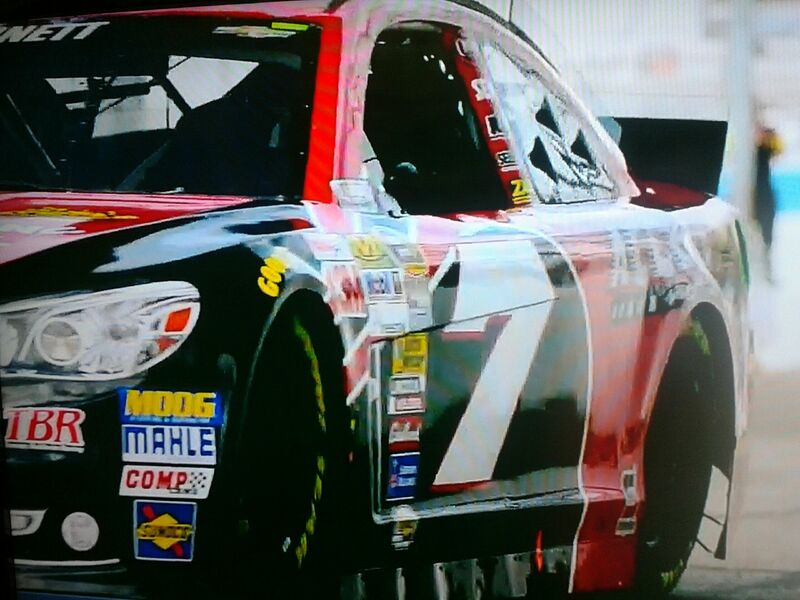 A quick caution allowed Blaney to drive to the 24th spot and become the lucky dog. On the lead lap, Blaney restarted from the tail-end of the field on lap 144, relaying to the crew that the car was tight. Baldwin radioed that the adjustments were for the long run and looked for feedback later in the run. Blaney worked hard to drive passed lapped traffic and stay on the lead lap. Unfortunately, the leader, Jimmie Johnson, drove passed Blaney on lap 197 while he was still in the 24th spot. The No. 36 Accell Construction Chevrolet held its position until the next yellow on lap 248. The TBR team made another four-tire pit stop and track bar adjustment as Blaney radioed that the car was really tight all the way through the run. 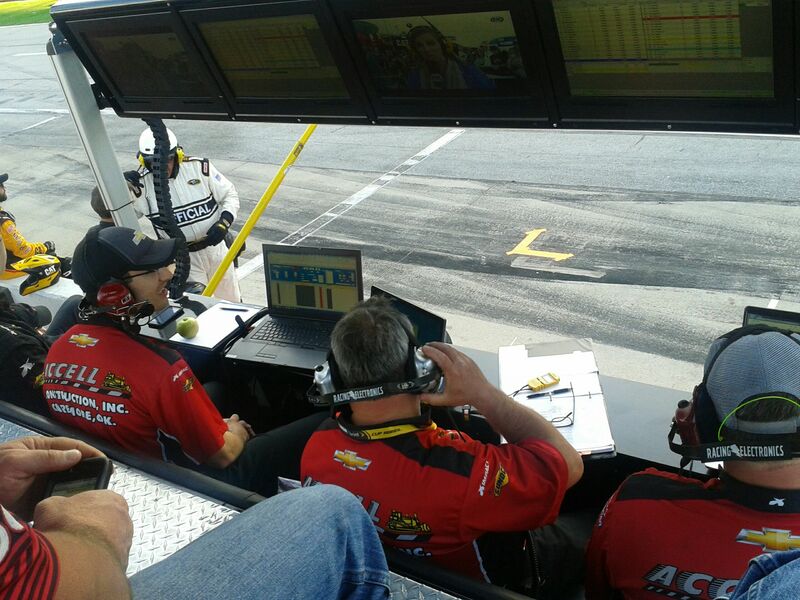 The Accell Construction Chevrolet restarted from the 23rd spot, and Blaney drove up to 22nd before radioing that he was spinning out loose on lap 278. By lap 290, the No. 36 fell two laps down. 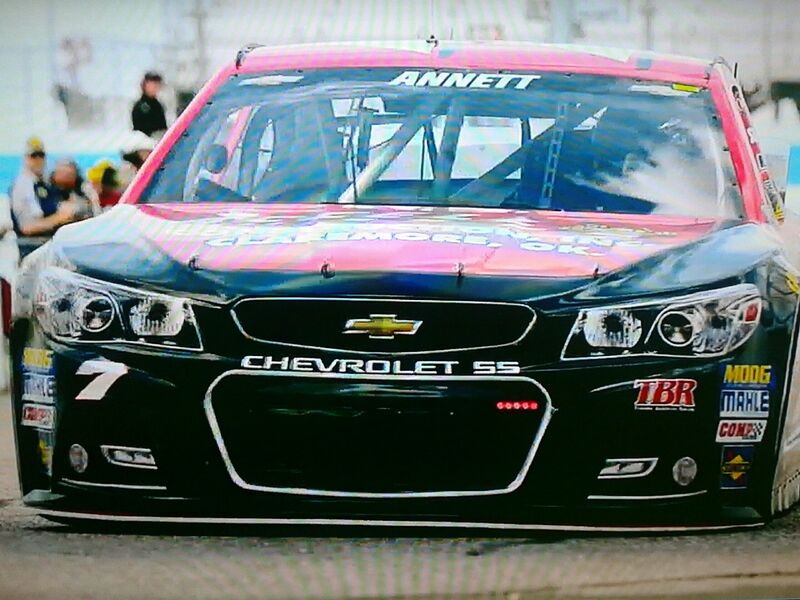 By lap 307, the Hartford, Ohio native radioed that the car was back to where it was in the previous run. The No. 36 Accell Construction Chevrolet continued to race in the top-25 before lap 346 when a yellow flag flew just in time as Blaney radioed that the car was really bad after scrapping the wall. Blaney drove the TBR Chevrolet down pit road, and the team changed four tires and made another air pressure adjustment. Blaney restarted 24th on lap 350 but fell to 26th by lap 357. He radioed that the car was chattering the rear tires and really free, and the spotter feared that the right rear tire was going down. 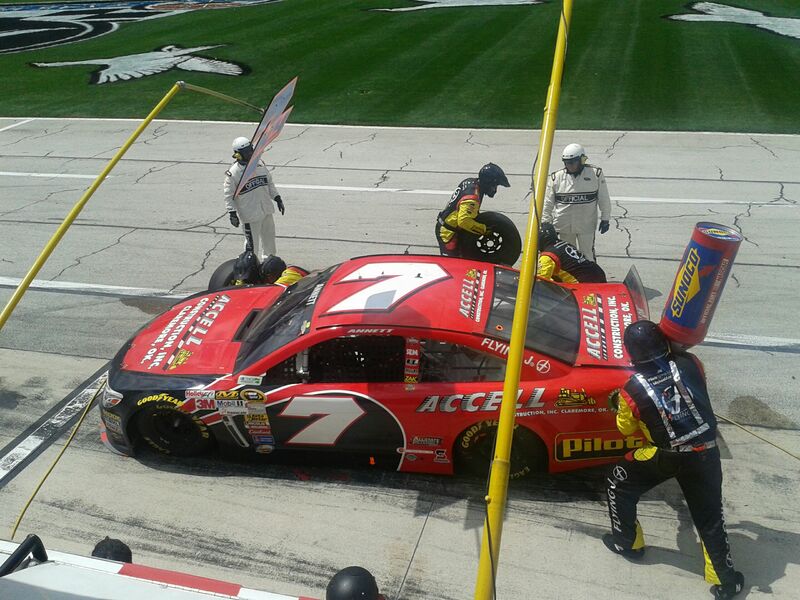 As the team assessed whether the tire was going down, Blaney fell a third lap down to the leaders. Another yellow flag flew just in time on lap 429, and the team made a trackbar and air pressure adjustment during the four-tire stop. Blaney restarted on lap 435 from the 27th position, three laps down, and drove to the 25th position before the next caution three laps later. The No. 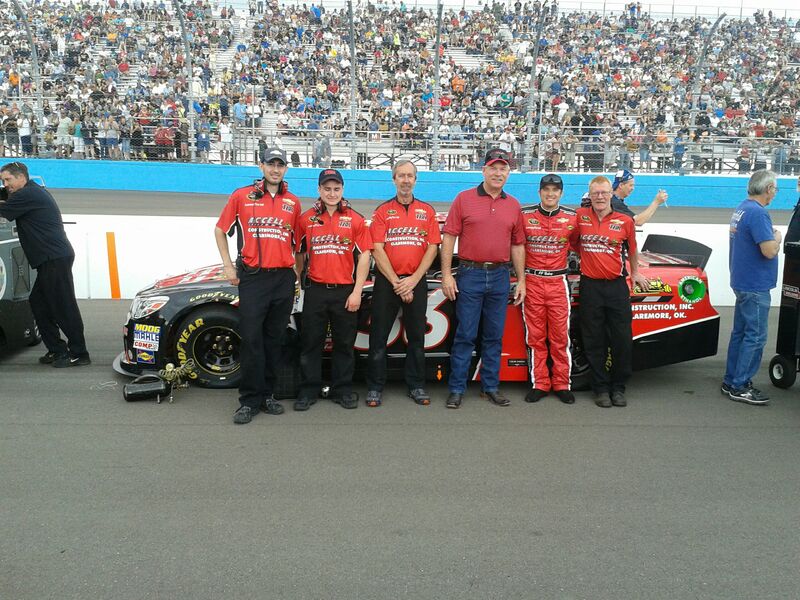 36 Accell Construction Chevrolet held steady in the 25th position for the final 56 laps of the 500-lap race and took the checkered flag for TBR’s first top-25 of the season. The 25th-place finish propelled the No. 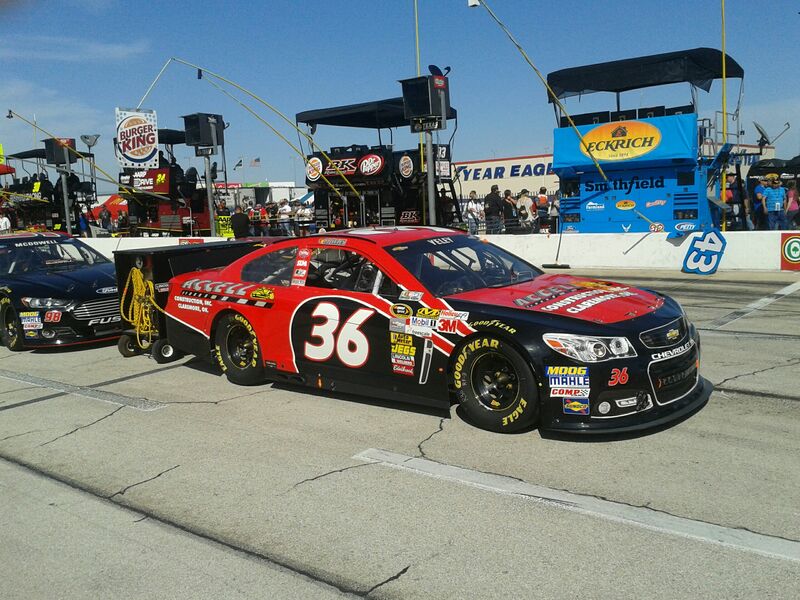 36 Accell Construction Chevrolet from 38th to 36th in the NSCS Owner Points. 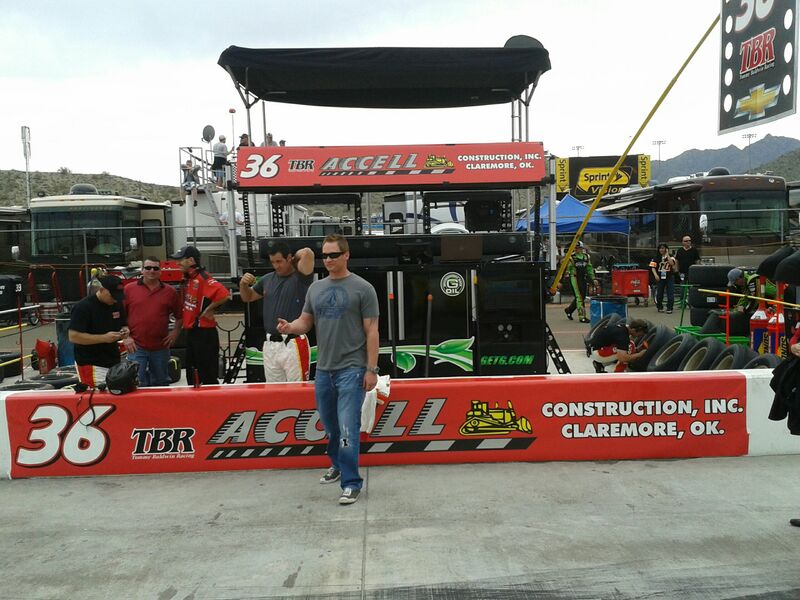 The TBR team is one point shy of the top-35 with one race to go before 2011 points are used. TBR will return to NSCS racing Sunday, March 27th at 3 p.m. EST for the Auto Club 400 at Auto Club Speedway.